You Really Can Paint It! Painting classes on the go for beginners and experienced painters alike. Even if you have never picked up a paint brush, you can learn how to create a beautiful painting in just a few hours. I provide all the materials you need so you can go home with a finished painting! Find out more about my classes including pricing, duration, and upcoming workshops. Private workshops also available. Check here to read about how Mickey got started painting. The photo above is her very first Bob Ross painting. Other stories will be added to this blog page, so stay tuned! Want to see some of the amazing paintings Mickey Cline has created? Click the image above! 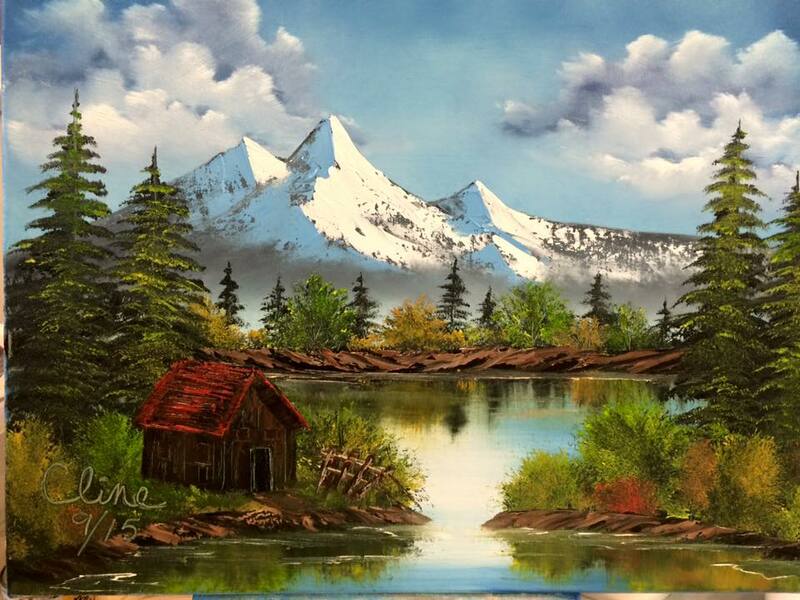 Want to learn more about Happy Little Paintings and Mickey Cline C.R.I.®? Here's the place to do it.